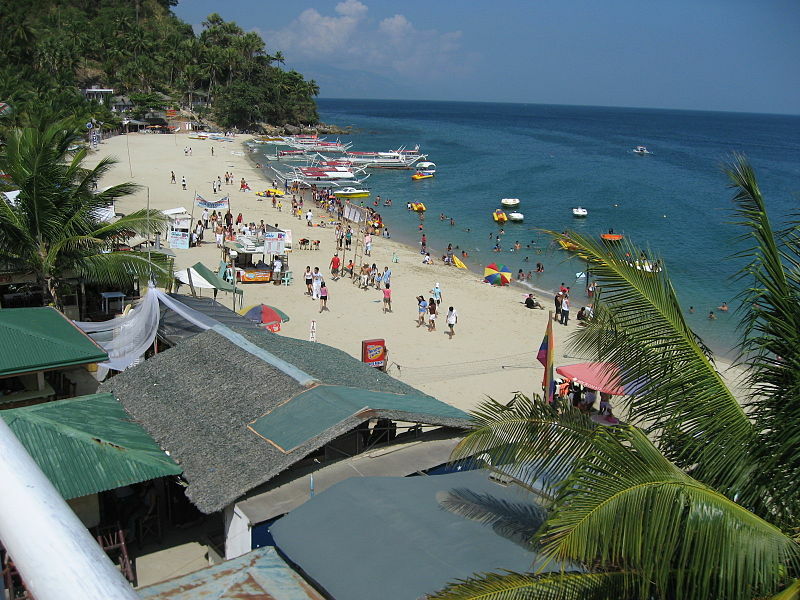 The coastal town of Puerto Galera is located in the north westernmost part of the province of Oriental Mindoro. The town has the only bay in the Philippines listed by the Club of the Most Beautiful Bays of the World in 2005 was declared by UNESCO as the most beautiful bay in the world, making it the third bay in Southeast Asia to be given this award, with Nha Trang Bay and Along Bay in Vietnam as the two others. 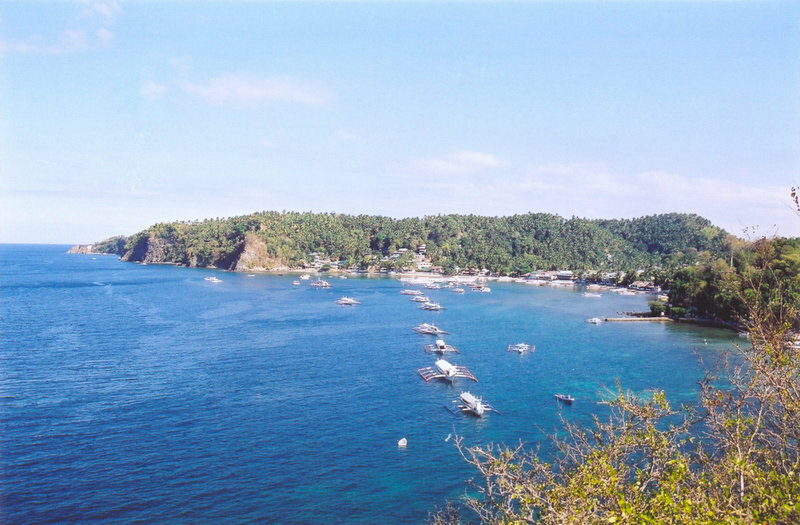 The coastal town is famous for its many pocket beaches and best spots for snorkeling and scuba diving. The municipality was declared by UNESCO as a man and biosphere reserve by UNESCO in 1973 while boasting of its most diverse coral reef diving in Asia. Reliance of settlers to fishing has diminished tremendously due to the higher revenue they have obtained from tourists, benefiting the marine environment. The two famous beaches in Puerto Galera are the Sabang and White beaches. Sabang Beach is the most frequented beach by the foreign tourists while White Beach is the favorite of the locals. The big La Laguna beach and small La Laguna beach are part of the Sabang Beach including multiple resorts. The development of White Beach, however has been so rapid since 2001. The development has seen restaurants and new entertainment venues continuously appearing on the beach itself, eating up a lot of beach area. Behind the two famous beaches are the rising mountains of Central Mindoro. Above the hillside of the White Beach hillside is a nine-hole golf course and provides a very scenic view over the natural harbor of Puerto Galera and Verde island passage. Mangyan tribes also dwell at the side of the mountains. 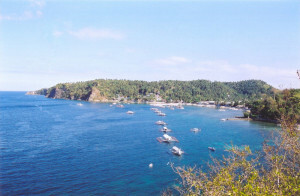 It is also among the top diving destination in the Philippines. Many tourists can enjoy excellent diving at just less than 5 minutes from Sabang beach. Strong current define the diving areas on either side of Escarceo Point in the town that is why it is important for a local guide to assist you. 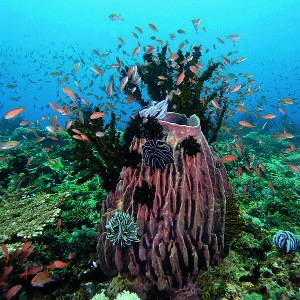 There are more than thirty dive sites within a 5 to 10 minute banca or boat ride from Sabang beach.